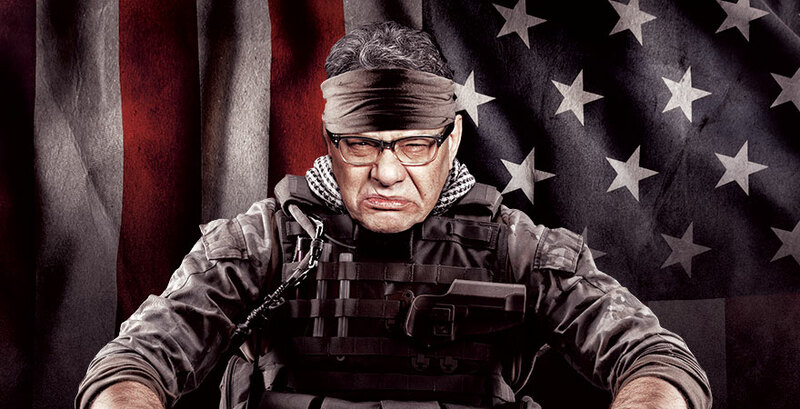 Limited Tickets Available for Lewis Black! Lewis Black is more than the king of ranting; he is also a comedian and an author who has mastered these fields through acting, playwriting, and his commitment to education and the arts. His array of knowledge has made him the rare comic who can cause an audience to laugh themselves into incontinence while making compelling points about the absurdity of our world. From a young age, Black’s parents instilled in him the importance of education and the necessity to question authority. These teachings influenced him as he became involved in theatre as a child and eventually pursued a career in drama. Black then ventured into stand-up comedy, performing at Cat’s Cradle in Chapel Hill. Stand-up only further fueled his passion to perform as he pursued his career in theatre. Black’s career eventually began to bloom, and he later became the playwright-in-residence at the West Bank Café’s Downstairs Theatre Bar in New York City. Through this opportunity, he oversaw the development of more than 1,000 plays. In 1996, his friend Lizz Winstead tapped him to create a weekly segment for Comedy Central’s The Daily Show. 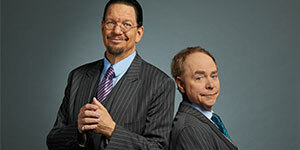 The three-minute rant about whatever was bothering Black at the moment evolved into becoming one of the most popular and longest-running segments on the show. Increased exposure from The Daily Show resulted in a record deal with Stand Up! Records. As an acclaimed recording artist, Black has won two out of five Grammy® nominations. In the midst of a rigorous touring schedule, regular TV appearances, and movie roles, Black has written three best-selling books: Nothing’s Sacred (Simon and Schuster, 2005), Me of Little Faith (Riverhead Books, 2008), and I’m Dreaming of a Black Christmas (Riverhead Books, 2010). All garnered critical and commercial success, spending numerous weeks on the New York Times best sellers list. Black also continued his stand-up, performing for audiences throughout Europe, New Zealand, Canada, and the United States. In 2012, he performed eight sell-out shows at the Richard Rodgers Theatre on Broadway and most recently, Black voiced the character “Anger” in the Academy Award® winning Pixar film, Inside Out. Despite how he may appear, Black is a passionate performer who is more of a pissed-off optimist than a mean-spirited curmudgeon. Head to State Theatre New Jersey on Saturday, February 25, 2017, to see Lewis Black, a talented and multi-faceted artist whose performances provide audiences with a cathartic release of anger and disillusionment.